Andre Schurrle admits he might celebrate against Chelsea. Schurrle’s Fulham pay visit to the Bridge on Sunday afternoon. Make sure you follow our match coverage for the game @TalkChelsea. Former Chelsea winger Andre Schurrle has admitted he may well celebrate if he scores at Stamford Bridge on Sunday. Schurrle was a popular figure during his year-and-a-half stint as a Chelsea player. He scored 14 goals in total for the Blues, including a hat-trick against Fulham, who he signed for from Borussia Dortmund in the summer. The German has not yet faced Chelsea since departing the club, so this will be a new experience for him. With the 28-year-old having scored five Premier League goals already this season, we ought to be wary of the danger he poses. 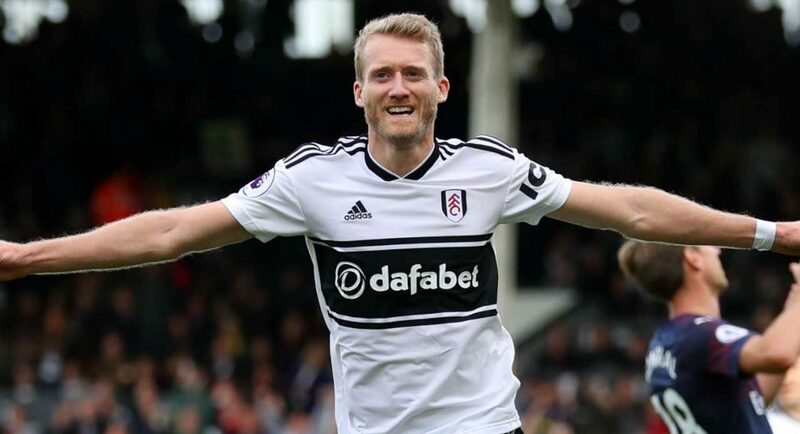 Not only should Chelsea brace themselves for the possibility of Schurrle scoring against them, the fans should get their head around the fact that he’s likely to celebrate on the Stamford Bridge turf if he does. Fair play to Andre, he’s well within his rights to celebrate if he does score. This is one matchday we’ll be hoping he fires a blank, though!